Magnesium Helps The Calcium Work! I can't believe I haven't written about magnesium yet! It's my go to mineral! More than that - I don't go one day - without taking some! See my video below or at my YouTube channel! I'll write more and more about magnesium as I go! And I took them with water w/Epsom Salts in it! I drink it in my water all day - approx 6 - 8 - 8oz glasses. Here is a source for a magnesium that I would use - or that I would buy! I've purchased some magnesium tablets and I also get it by way of Epsom salts as well! "In the featured video, Carolyn Dean, a medical and naturopathic doctor, discusses the importance of this mineral. who says to take 200-600 mg / per day and I believe that would be right. I take a high amount. I think that you know you are taking enough - when physical symptoms are better. Related topic:'The Calcium Lie'! See it! DMSO DMSO - Dimethyl sulfoxide liquid (3.4 Oz - 100ml), Pharmaceutical grade, High purity. 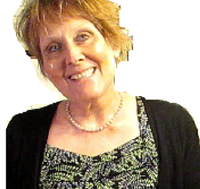 Note: Nancy Gurish is an affiliate with Amazon and will receive a commission for purchases of the products she speaks about.